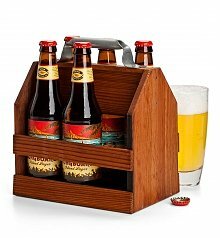 Beer baskets, accessories and snacks for every beer lover on your list. My brother-in-law loves beer. He has his favorite beers that he always keeps stocked in the fridge out in the garage, but one of his absolute favorite things to do is to sample new beers from small breweries. 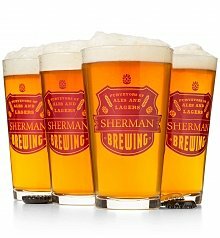 We live in the Pacific Northwest, where small craft breweries reign supreme, and beer tasting is a national pastime. So for his birthday, I surprised him with GiftTree's Wooden Beer Flight, a stylish handcrafted wood tasting board with four heavy 6-oz. 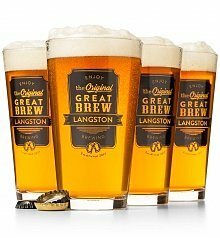 beer glasses, and my brother-in-law's name engraved right on to the lacquered handle! He was so excited about it, we rushed off to the bottle shop to pick out some craft brews and break in his flight glasses. 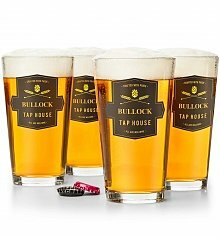 It was the perfect birthday gift for the biggest beer lover I know. 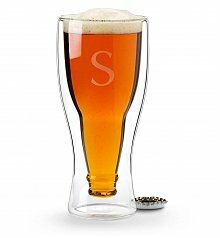 Searching for the perfect gift for the beer lover in your life? 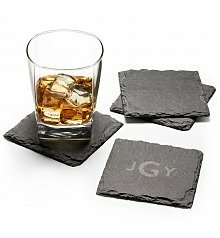 Look no further than GiftTree. 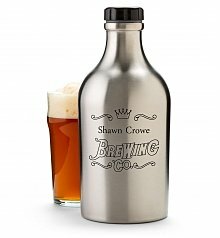 Our selection of beer gifts is specially crafted to brew up a happy celebration for any beer lover's special day. 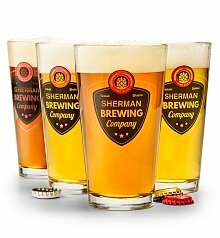 There are many styles of beer gifts to choose from, and many of these have personalization options to make that beer gift really personal, like our Personalized Pint Glass Set. Whichever beer gift you choose, you can be sure that with GiftTree, you're sending a gift that's simply brewing with personality and good taste!